There are fears that funding to help vulnerable people with housing will be cut, despite promises to protect it. The £125m Supporting People programme will no longer be ring-fenced in the Welsh Government's budget in 2019-20, as ministers revealed spending details. 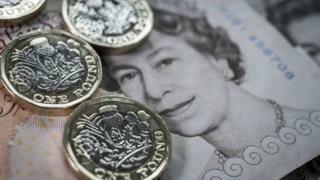 It will be merged with other pots of money, giving councils more flexibility to decide how it is spent. Plaid Cymru said it wanted "urgent clarification", as the scheme was central to its deal to back the budget. Earlier in October, ministers announced there would be no cuts to the grants as part of a two-year agreement with Plaid Cymru. The Supporting People programme pays for things such as hostels and support workers for vulnerable people, including victims of domestic abuse and people with chronic illnesses. Documents published on Tuesday show that the same amount of money has been included in the draft budget, but it will no longer be protected. Katie Dalton, director of Cymorth Cymru, which represents services for the homeless, said she was "furious". "We are extremely concerned that this budget, which specifically focuses on homelessness and housing-related support, has merged with several programmes that have no direct relation to housing or homelessness prevention," she said. "This decision is both baffling and dangerous at a time when Welsh Government and third sector statistics show that homelessness and rough sleeping is rapidly increasing across Wales." Plaid Cymru finance spokesman Steffan Lewis said: "Plaid Cymru is seeking urgent clarification from the Welsh Government on the Supporting People budget, which formed a central part of our Budget agreement between our two parties." But Communities Secretary Carl Sargeant insisted there were "no cuts to the Supporting People grant". "In 2019-20 it will be included in a different budget line, which allows for the creation of a new wider grant but the level of Welsh Government funding will be consistent with 2017-18 levels," he said. The news came as ministers published more detailed information about their £15bn draft budget for 2018-19, having previously announced headline figures. The Welsh Government's budget is slimming down. Grants to pay for specific policies - from supporting hospices to housing vulnerable people - are being merged into central budgets. In the health department, for example, more than £250m is being shifted from things like primary care to the core NHS budget. It is one of the ways the Welsh Government has adapted to austerity. Cash stays in the system, but health boards and local councils get more discretion over how to spend it. The budget documents confirmed a £227m increase for the NHS in 2018-19, taking the total annual spend on the NHS to £6.85bn. Cuts to fund that increase included a £14.1m reduction in the school improvement grant in 2018-19 and a £3m cut in the annual grant to Natural Resources Wales. The Welsh Government's overall staff costs are also due to fall from £199m to £193m in the next financial year. Post-16 education is facing a cut of nearly £10m in the following year, 2019-20. Finance Secretary Mark Drakeford said the spending plans were limited by UK government policy. "It is inevitable that the impact of austerity is real - we cannot simply wipe it away," he said. "But we have done our very best to make sure that, at the front line, the impact is as moderated as we can manage it in these difficult circumstances." On Monday, Skills Minister Julie James announced £260m for apprenticeships over two years, while Education Secretary Kirsty Williams said £50m would be spent on "state-of-the-art" facilities for the higher and further education. Tory education spokesman Darren Millar said the capital investment in education was a "fraction" of what colleges and universities had been calling for, but he said the announcement was "at least a step in the right direction".